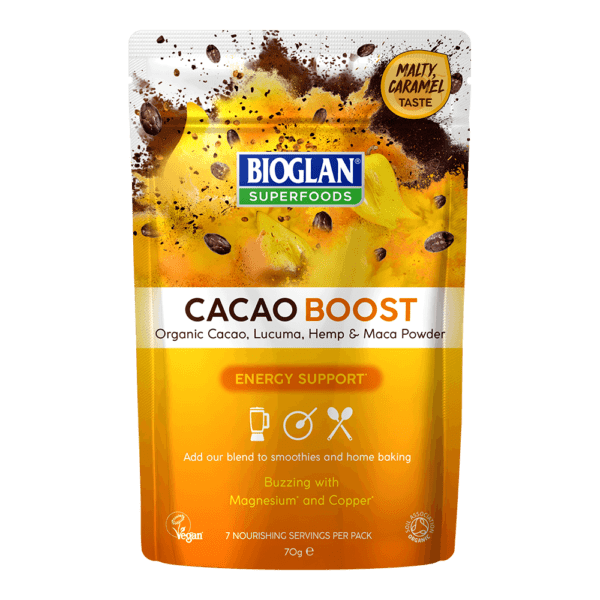 We have chosen superfoods Cacao, Lucuma, Maca and Hemp for their energy-enhancing properties in this unique organic blend. Lucuma (a fruit native to the Andean valleys of Peru) and Maca (a root vegetable also native to the Andes) give the blend a delicious malty, caramel flavour. These blend perfectly with the richness of Cacao and the nuttiness of Hemp, which is also a source of protein. Give your smoothie or shake a boost by adding 1-2 tsps. Or for an energising hot drink, mix to a paste with some hot water and top up with hot milk, sweeten with honey to taste. Supercharge your breakfast bowl by swirling 1-2 tsps of Cacao Boost into your porridge, yoghurt or sprinkle over granola or muesli. 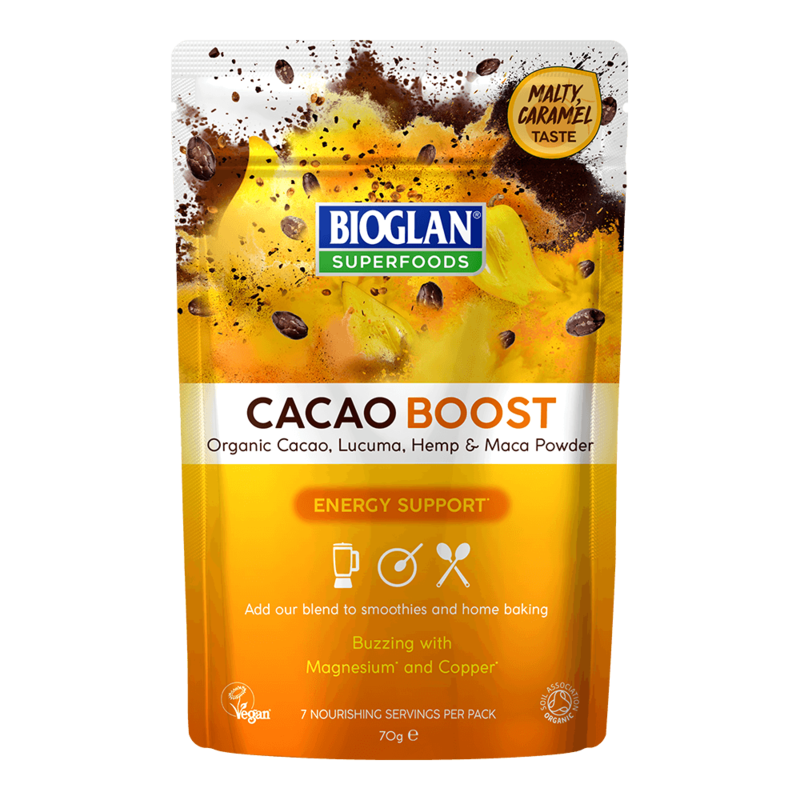 Simply swap our Cacao Boost powder for cocoa powder in muffins, brownies and cupcakes. Organic Cacao Powder (35%), Organic Lucuma Powder (30%), Organic Hemp Protein Powder (22%), Organic Maca Powder (13%).